Commander-in-Chief Charles Messer was born in Albany, New York on January 4, 1890. He belonged to Jacob H. TenEyck Camp #154, now known as Colonel George Willard Camp. He joined the Sons in August of 1906. In 1948 he was New York Department Commander. At the time of his death on May 3, 1962, he was serving as Commander-in-Chief. He was buried in Memory Garden, Menands, New York. 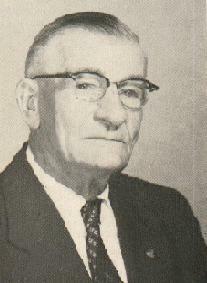 His wife, Lillian, was Past Department President of the Auxiliary.